Mighty No. 9—the spiritual descendant of Capcom's beloved Mega Man franchise—seems like it can't get here fast enough. But a glimpse at the crowdfunded game assures us that work is proceeding on the side-scrolling action game. 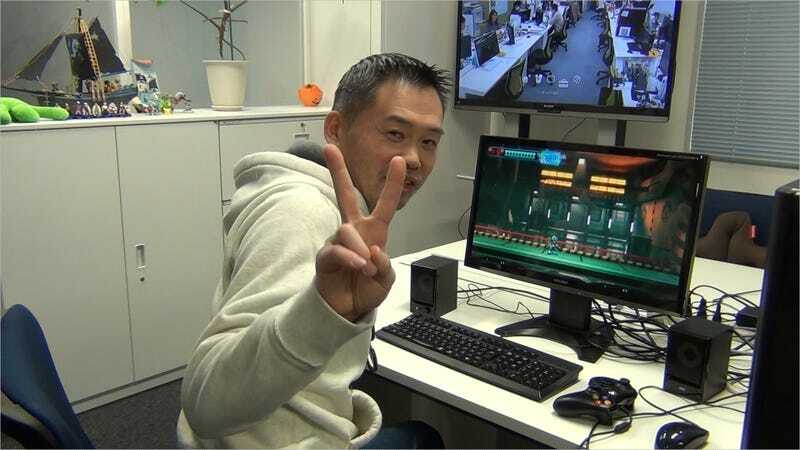 Keiji Inafune's Comcept dev studio gave a peek at the Mighty No. 9 alpha build in images that only backers of its crowdfunding campaign can see. The screens scampered out behind the gate, though, and offer an early look at Inafune's new blue robot in action. This is clearly rough, placeholder stuff, similar to footage shown last September. Still, the character model looks charming at this stage. It'll be on consoles, handhelds and PC whenever it comes out.